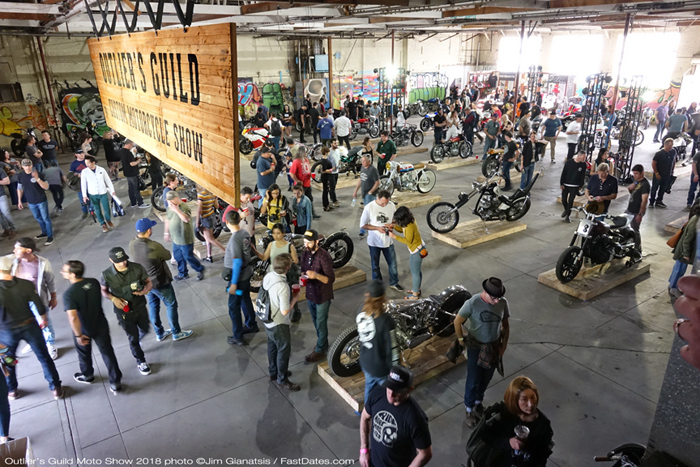 Los Angeles Downtown Arts District, CA - March 31st 2018 -The 2nd annual Outlier's Guild Moto Show held in the old warehouse district of downtown Los Angeles, now being revitalized by the City as the "Arts District" with upscale Apartments,Restaurants and Art Galleries, blew the lid of the retro custom bike scene, drawing tsome 3,000 spectators and the nicest turnout of custom built bikes on the West Coast since the heyday of the legendary LA Calendar Motorcycle Show until the 2008 Recession decimated America's big ticket custom bike industry. May 13th 2018 - Turkish racing legend Kenan Sofuoglu (Kawasaki Puccetti Racing) has taken to the grid for his last ever race this weekend at Autodromo Internazionale Enzo d Dino Ferrari di Imola, as the five time FIM Supersport World Champion looks ahead to a new chapter of his career in rider coaching and mentoring. Read Sofuoglu's complete Race Bio at right. Michael Vander Mark (60) dives inside Champ and points leader Jonthan Rea(1) to take the lead and a double race win. Donnington Park, England, May 25-27th 2018 - Pata Yamaha Official WorldSBK Team's Michael van der Mark wrote history by taking his maiden victory on Saturday at Round 6 of the 2018 Motul FIM Superbike World Championship at Donington Park, and the flying Dutchman produced an encore performance on Sunday by pulling off a simply incredible ride from ninth on the grid in Race 2 to "do the double" and claim his second race win of the weekend. 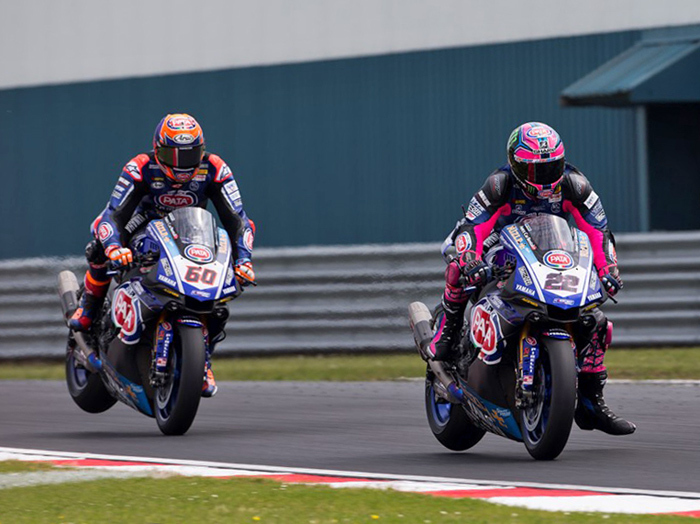 His teammate Alex Lowes rode an aggressive first lap from pole position and led for the majority of the race, before battling hard to secure his second fourth-placed finish of the weekend. "Its amazing feeling, we've been working for this for a long time, last year I came close and finally after four years we've done it. I can't thank the team enough. The bike was working really good this morning and I was pushing so hard, so a big thank you to the team. Its been three ears on this project and we've finally got the victory." 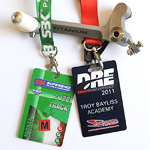 The PATA Yamahas of Sam Lowes (22) and Michael Van dr Mark (60) were strong both races at Donnington. The floodgates were opened on Saturday, and now there’s no stopping Michael van der Mark (Pata Yamaha Official WorldSBK Team). 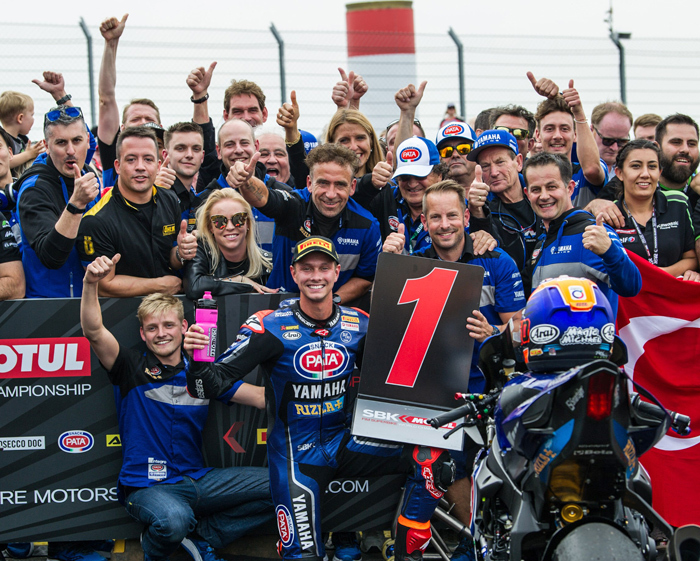 The Dutchman closed an extraordinary weekend at Donington for the Pata Yamaha team with the second win of his MOTUL FIM Superbike World Championship career, a win against oll-odds in another fascinating race at the Prosecco DOC UK Round. A first double for van der Mark, and a first podium for Toprak Razgatlioglu (Kawasaki Puccetti Racing), beating none other than Jonathan Rea (Kawasaki Racing Team WorldSBK) in the closing stages. 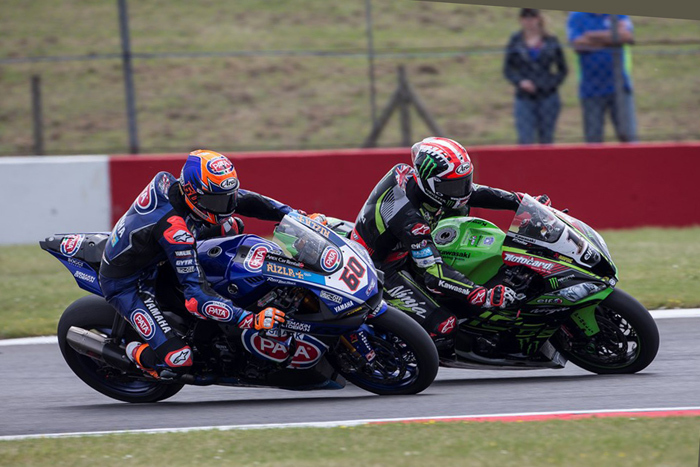 A poor start from Alex Lowes (Pata Yamaha Official WorldSBK Team) saw him gobbled up in the mix at the first turn, ceding two places to Lorenzo Savadori (Milwaukee Aprilia) and Leon Haslam (Kawasaki Puccetti Racing). The Yamaha managed to pick both off in short order however, Haslam at the Fogarty Esses (before the wildcard crashed at Melbourne), and the Italian in lap 2. Meanwhile, the two KRTs held a surprisingly aggressive battle, while the other Yamaha quietly made it through to the leading group from ninth on the grid. Quickly, one third in, the battle for the race turned into a three-way fight, with Lowes sticking strong but Rea taking ghost shots around Craner and Melbourne. Meanwhile, van der Mark, much like he did on Saturday, stalked the front two, biding his time. At the back, Razgatlioglu and Savadori fought nail and tooth for fourth, a few seconds back on the leading group. After two perfect thirds to the race, it all came apart for Lowes at the end. On lap 17, Rea found a spot at the Melbourne loop, where so many moves have been made this weekend, and pushed in front from the inside of Lowes, with van der Mark picking off the scraps at Redgate and moving to second. And just like yesterday, one lap later, van der Mark made his race-winning move at that same turn 11. The Ductchman shot off from there, giving his pursuers no option to take away his incredible double. There was one more surprise left at Donington, however. Amidst the front group bickering, Razgatlioglu found himself with the gap now non-existent. Showing an impressive late-race pace, the Turkish rider picked off Lowes with ease, before setting his sights on the three-time WorldSBK champion. And with one lap to go, he moved up to second. A fitting epilogue to Kenan Sofuoglu’s retirement in the last Round: Turkey has a new hero for years to come. With Rea finally in third, his worst result since the Thai Round, and Alex Lowes repeating his Saturday performance in fourth, there was another comeback behind. Chaz Davies (Aruba.it Racing – Ducati) found his way all the way back to twelfth at the start, but a neat ride from the Welshman pushed him back to fifth, ahead of Tom Sykes (Kawasaki Racing Team WorldSBK), who couldn’t continue his incredible Donington streak and leaves with his first finish outside the podium since 2011. Savadori made it to the checkered flag in seventh, just ahead of Leon Camier (Red Bull Honda World Superbike Team), who pipped Jordi Torres (MV Agusta Reparto Corse) to eighth at the final turns, and leaves the UK Round with two top-ten finishes on his return. Closing the top ten was Loris Baz (GULF Althea BMW Racing Team), with Marco Melandri (Aruba.it Racing – Ducati) ending a weekend to forget down in eleventh. "It just incredible, I can't believe it, I had quite a good race, I struggled a bit but I didn't feel as good as yesterday. So I followed Alex and Jonny, just used my head and in the last few laps they had a battle and I managed to pull away. To take the first win yesterday and now the double, its just incredible." "Today is my team bosses birthday, so a big happy birthday to him! But this position is very good, I am really happy: It's my first podium so I am really happy, thank you!" "It was a huge battle, I really enjoyed it and it was quiet close, I hope everyone out in the crowd and at home enjoyed it. But unfortunately I am disappointed with myself, I ran into arm pump issues which meant I found it hard to change direction and, I had to back off. Third was all we could manage, I'm sorry to my team as they gave me a bike that could win but that as all I could do." Jonthan increaed his 2018 Championship points leand with double race wins at Imola. 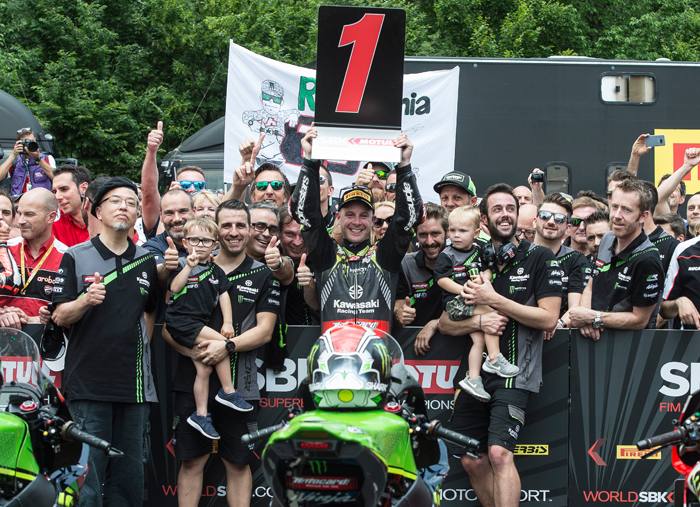 Imola, Italy May 11-13th, 2018 - In taking his first double race win of the season at Imola today Jonathan Rea (KRT) made WorldSBK history by equalling the all-time record of 59 career race wins. 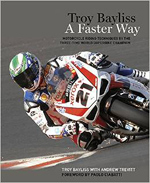 He now shares that honour with WorldSBK legend Carl Fogarty. Tom Sykes (KRT) finished a fighting third in race two, after sharing a third row starting position with Rea. T he race start at Imila with Ducati's new 3rd factory rider #21Michael Ruben Rinaldi / Aruba.it Racing put front. 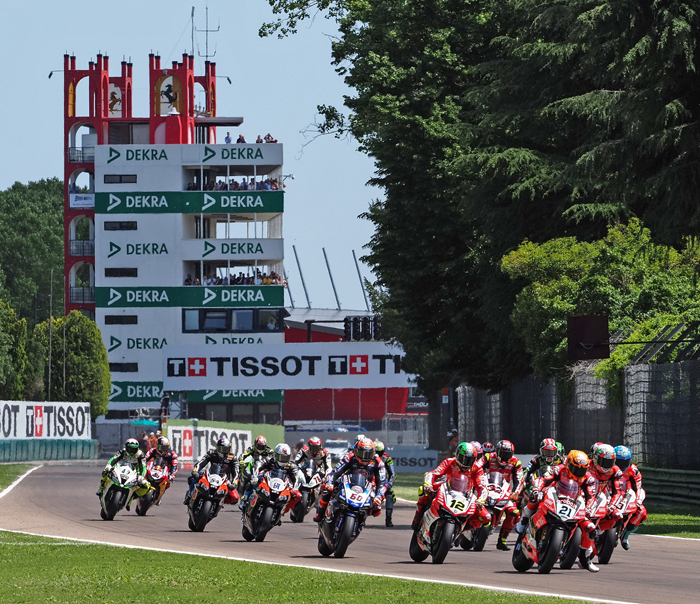 Saturdat May 12th - Jonathan Rea (Kawasaki Racing Team WorldSBK) took his first win at Imola since 2015 with a dominant performance at the Autodromo Internazionale Enzo e Dino Ferrari di Imola, controlling the race from the start and not giving anyone on the track any opportunities. 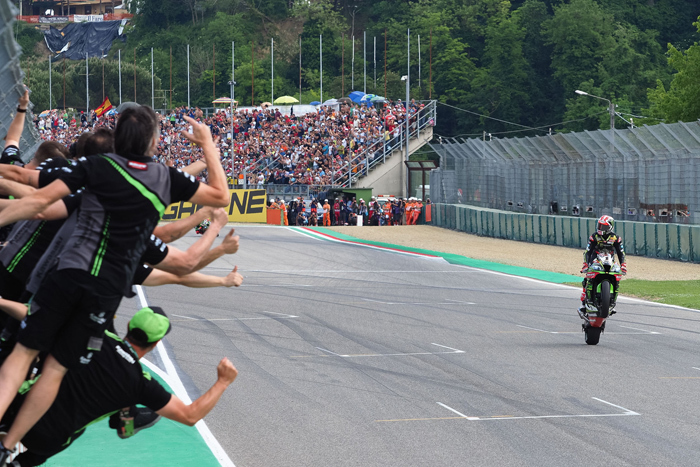 His teammate Tom Sykes (Kawasaki Racing Team WorldSBK) completed the second consecutive KRT one-two of the season, with Marco Melandri (Aruba.it Racing – Ducati) returning to the podium in third. 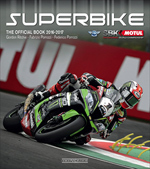 Sunday May 13th - Jonathan Rea (Kawasaki Racing Team WorldSBK) has won Race 2 at the Autodromo Internazionale Enzo e Dino Ferrari di Imola, equalling Carl Fogarty for the most wins in the MOTUL FIM Superbike World Championship in the process. 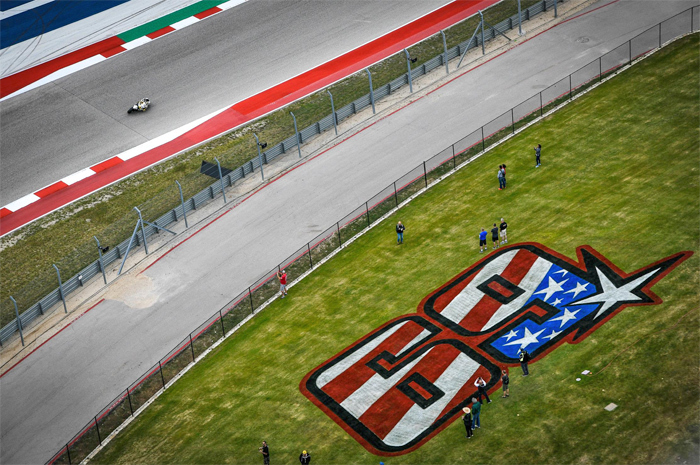 Victory number 59 came after a stunning battle with Chaz Davies (Aruba.it Racing – Ducati), who fought off several attacks from the reigning champion before having to settle for second place. "I'd forgotten all about the win record! Honestly I felt really good, a lot better than yesterday. 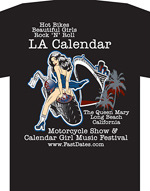 The temperature crept up and I was able to feel good on the bike, its incredible as we've taken a full set. I've been fastest in every session from free practice, to Superpole and with two race wins it's a perfect weekend. We've made a huge step here since last year, and I just want to say thanks to Pere all the boys!" "I was disappointed not to continue our form from the last couple of years here, but with a crowd like this its hard to be disappointed. It's a pleasure to be here, it could have been the opposite, I had some hairy moments, I just wasn't feeling it with the bike at all and it was just a battle from beginning to end. When I smoothed it up the lap time didn't come and when I pushed it didn't come but anyway, 20 points, not so bad and congrats to Jonny!" "There's not much to say, we made a small change but struggled to get the bike into the corner's, and then it was a big battle. I couldn't get into the turn and be able to utilise the power from the Superbike. It took me a long time, and by the end of the race I could just get my head around how the bike was working, and we made the best out of a bad situation." 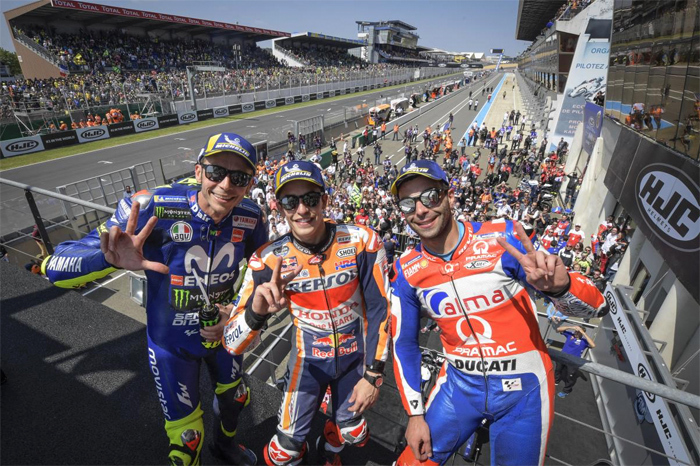 Red Bull Grand Prix of Spain, Jerez, Sunday May 20th 2018 - Marc Marquez (Repsol Honda Team) took a record-breaking victory at the HJC Helmets Grand Prix de France, which sees the reigning World Champion equal Casey Stoner’s 38 premier class wins - and surpass Mike Hailwood's win record. Alma Pramac Racing’s Danilo Petrucci was a superb second to take his first podium of the season - and from the front row - with Valentino Rossi (Movistar Yamaha MotoGP) returning to rostrum in third place after a more difficult run of races for the 'Doctor'. Alex Rins (Team Suzuki Ecstar) battled with Viñales and Espargaro throughout the race, eventually rounding out the top ten in his first ride at the track in the premier class, having missed the event in 2017 due to injury. Pol Espargaro (Red Bull KTM Factory Racing) picked up another solid result in P11 for some more good points for KTM, with Bradley Smith adding to the total in P14. Hafizh Syahrin (Monster Yamaha Tech 3) eventually got the better of Franco Morbidelli (EG 0,0 Marc VDS) to finish as top rookie in twelfth, with Takaaki Nakagami (LCR Honda Idemitsu) rounding the points scorers. 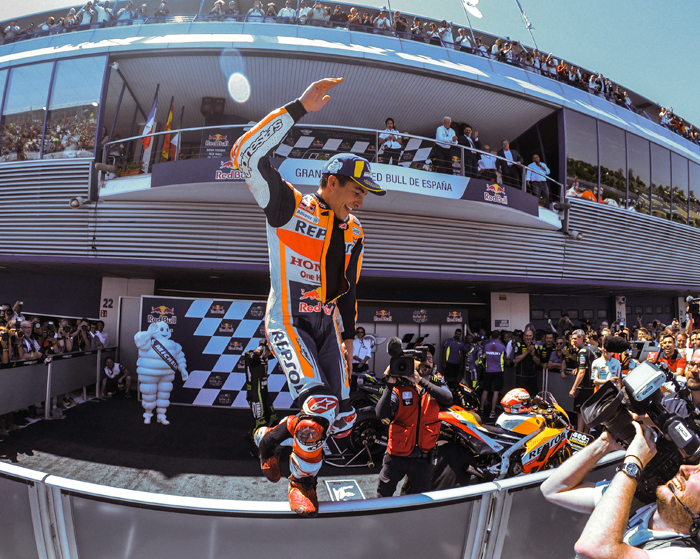 Red Bull Grand Prix of Spain, Jerez, Sunday May 6th 2018 - Reigning Champion Marc Marquez (Repsol Honda Team) took a stunning second win of the season – and his second win at Jerez – in the Gran Premio Red Bull de España, fighting to the front and just able to pull away into clear air, away from some huge drama that then hit the race behind. In a pivotal day in the Championship, an unbelievable racing incident saw Jorge Lorenzo (Ducati Team), teammate Andrea Dovizioso and Dani Pedrosa (Repsol Honda Team) all crash out in one go at Turn 6 – with Johann Zarco (Monster Yamaha Tech 3) and Andrea Iannone (Team Suzuki Ecstar) then coming through to complete the podium. Lorenzo got the holeshot after an unbelievable launch from the second row, taking the lead ahead of Pedrosa in second and Zarco in third as polesitter Cal Crutchlow (LCR Honda Castrol) lost out off the line. Marquez remained where he’d qualified in fifth, with Alex Rins (Team Suzuki Ecstar) in sixth. Lorenzo pushed early from the front to set the pace, with Pedrosa holding station in second as Marquez, Crutchlow and Zarco squabbled for third. A moment for Zarco soon after then saw the Frenchman out wide and dropping back. 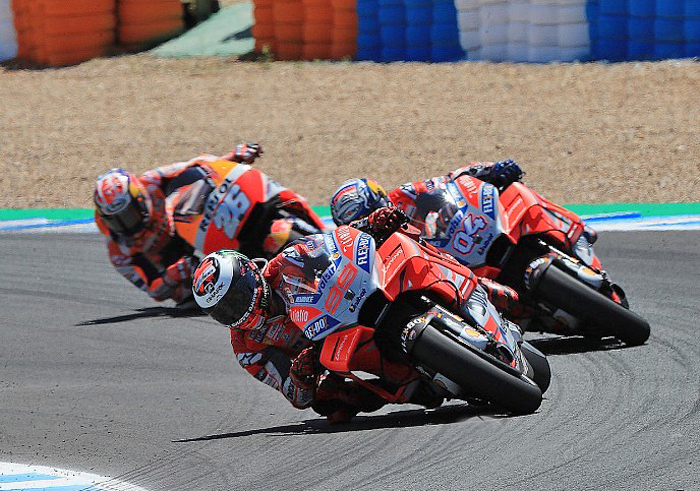 Lorenzo, Dovizioso and Pedrosa head for a collision out of the race. However, the two riders seemed to have different viewpoints on who bore most of the responsibility for the crash itself. “The thing is that Jorge cut down from Dovi after the pass and he wanted to recover his position and maybe he didn't expect me there from some reason,” Pedrosa said. “What I can say is that in that moment, there is one point that I'm watching them going wide, but then I start turning and I am completely on the right side of my bike and I can't see anything. Zarco moved into 2nd in the Points Chase after Jerez. The dust has settled at Jerez, but not in the title fight. There’s a new man at the top after the Spanish GP, and it’s race winner Marc Marquez – so the chasing pack have some ground to make up at Le Mans. Leading that charge is Zarco on home turf, who's second in the standings as we head to France. 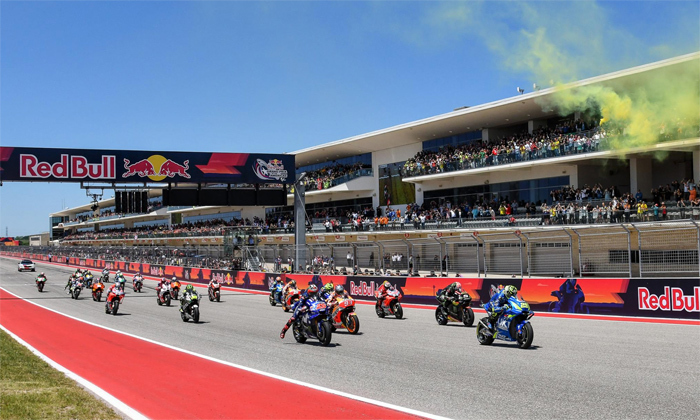 Red Bull Grand Prix of America, Aistin, Texas, USA , Sunday April 22nd 2018 - It’s closer than ever as the flag falls at the end of the Americas GP, with Marc Marquez (Repsol Honda Team) taking the win and Andrea Dovizioso (Ducati Team) taking the Championship lead as Texas shook up the standings. 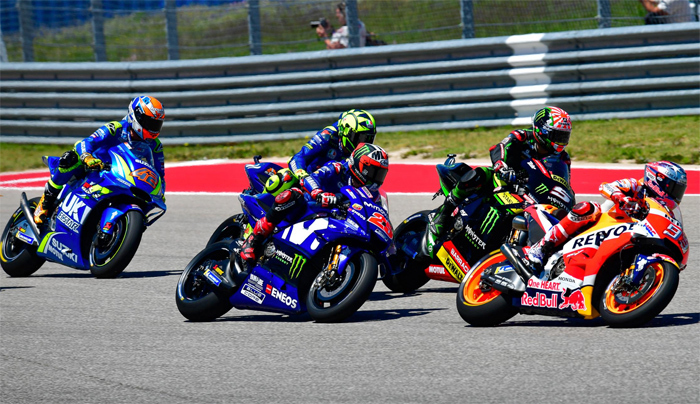 There are now five riders within eight points at the top of the title fight – with Marquez a point off the top after his win, and Maverick Viñales (Movistar Yamaha MotoGP) moving up to third after a second place finish at COTA. The Americas GP also made it back-to-back podium finishes for Suzuki, with Andrea Iannone (Team Suzuki Ecstar) putting in an impressive push from the front row to take third and his first rostrum finish of the season – and first rostrum with the Hamamatsu factory. It was also Iannone who got the holeshot from second on the grid, but Marquez also got a stunner from Row 2 – slotting into second and on the chase behind the ‘Maniac’. 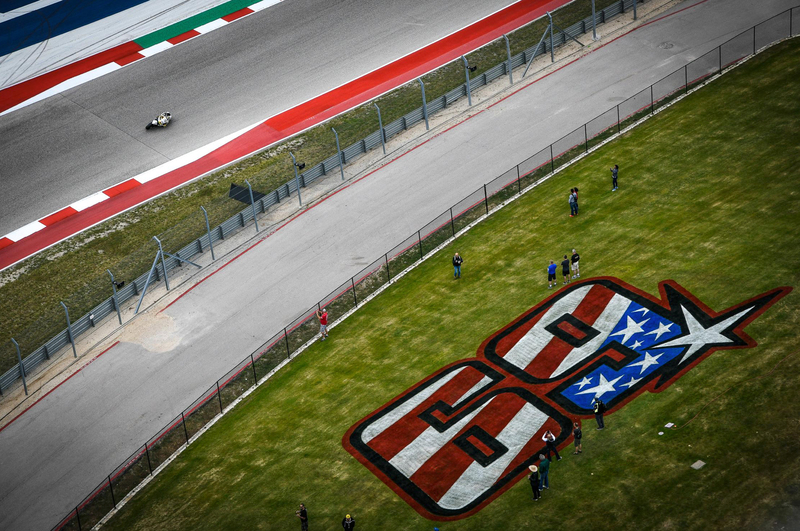 Making his move soon after and taking the lead, the number 93 started to pull a gap – but Iannone wasn’t done, and gave it everything for a late dive up the inside of the reigning Champion. Running a bit wide on the exit, Marquez took him back – and then put his head down. 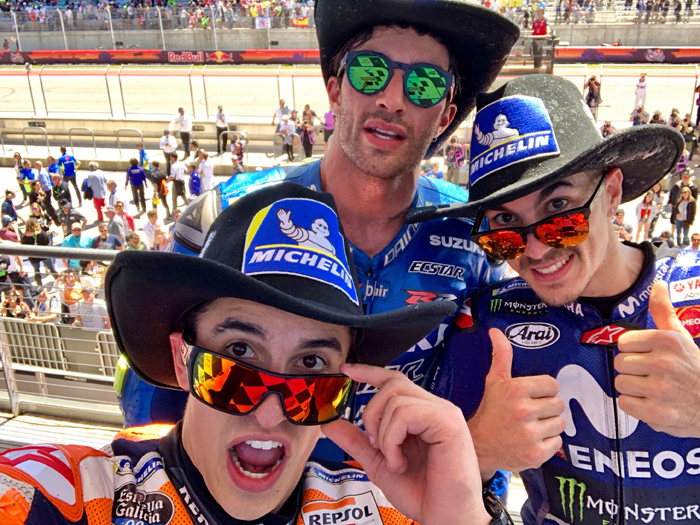 From there on out, the spectacular ballet of man and machine once more ruled the rodeo in Texas - with the victory making it ten consecutive premier class wins for Marquez on US soil. 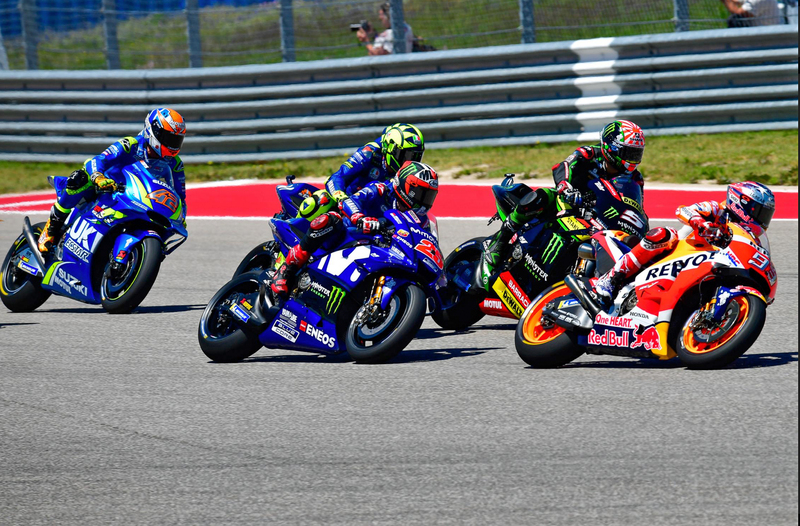 Behind Marquez, however, it was getting pretty tight as Valentino Rossi (Movistar Yamaha MotoGP) pressured teammate Viñales for third and Iannone held firm in second. But lap-by-lap, Viñales was able to ease away and stake his claim on P2 – closing in on Iannone before a well-judged pass into Turn 1 saw the Spaniard able to get through and then pull away. Keeping it calm, he took his first podium of the season in second, and Iannone did the same in third. Rossi came home fourth, with Dovizioso taking fifth after a particularly difficult weekend. Well-rewarded for a solid race, the 2017 Runner Up is now the leader of the pack once again after his controlled performance, including a late race pass on Johann Zarco (Monster Yamaha Tech 3). 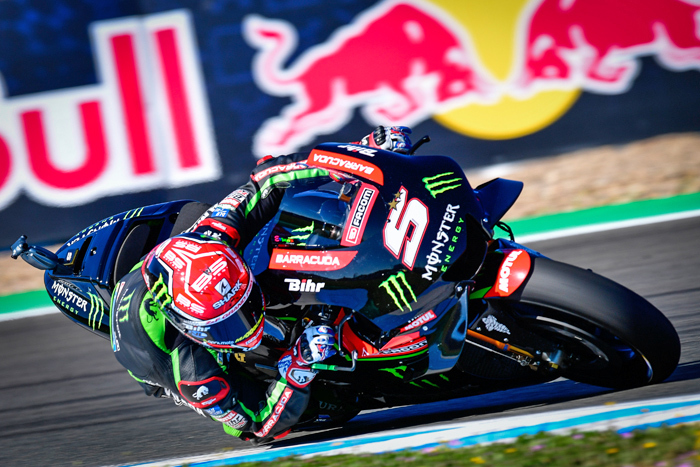 Zarco was top Independent Team rider in P6, with former Championship leader Cal Crutchlow (LCR Honda Castrol) sliding out at the final corner when attacking the Frenchman earlier in the race. Alex Rins (Team Suzuki Ecstar) also then suffered a tumble soon after – riders ok and Crutchlow able to rejoin. Meanwhile, Dani Pedrosa (Repsol Honda Team) followed up two stunning showings on Friday and Saturday to come home in a superhuman P7. Back on track and racing just over a week after surgery on his broken wrist sustained in the Argentina GP, the ‘Little Samurai’ rode a heroic push through the pain barrier around the punishing, technical challenge of the Circuit of the Americas in a performance worthy of the history books, taking home nine points ahead of the Championship’s return to one of his best venues: Jerez. 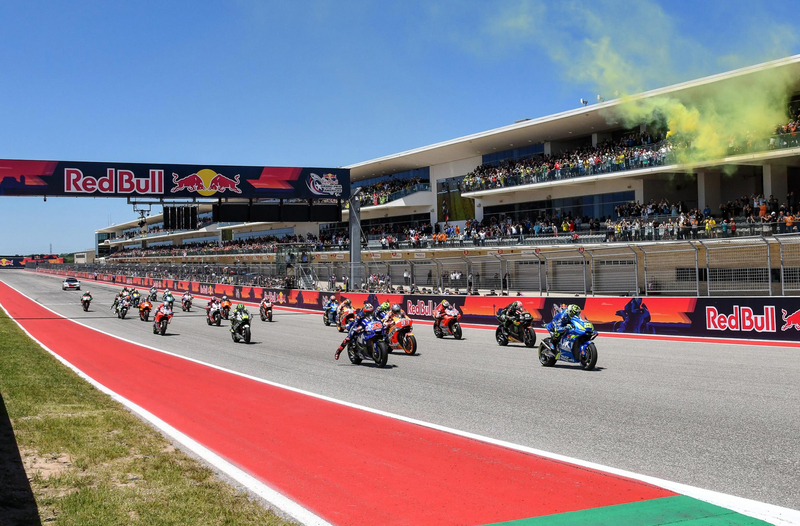 There was a Borgo Panigale battle around three seconds behind three-time World Champion Pedrosa, with Tito Rabat (Reale Avintia Racing) impressively beating Jack Miller (Alma Pramac Racing) to the line for eighth. Aleix Espargaro (Aprilia Racing Team Gresini) completed the top ten, putting in an impressive push to keep Jorge Lorenzo (Ducati Team) behind him after a tough race for the five-time World Champion. Danilo Petrucci (Alma Pramac Racing) took P12, ahead of some impressive points for Pol Espargaro and Red Bull KTM Factory Racing in P13. Takaaki Nakagami (LCR Honda Idemitsu) was top rookie in P14, ahead of Alvaro Bautista (Angel Nieto Team). So there we have it! The rodeo is ridden and the points are given, and what a Championship we have on our hands as we head for Jerez: five riders within eight points, with ‘DesmoDovi’ the man in the lead on the road to Europe. Marquez trails him by one point, Viñales by five and Crutchlow by eight – with Zarco equal on points with the Brit, back in P5 due to Crutchlow having a race win. Now it’s carnival time. Packed grandstands, Spanish sun, the awesome Circuito de Jerez and one of the best atmospheres of the year – with the Championship so close, there’s almost nothing in it. Tune in on Friday 4th May, with lights out for Round 4 at 14:00 local time (GMT +2) on Sunday 6th. April 1st 2018 - In a recent interview, MV Agusta CEO Giovanni Castiglioni, said the MV Agusta company will withdraw from SBK World Superbike in 2019 and will cease production of an Open class bike capable of being raced in SBK World Superbike under the current homologation rules. The situation comes from the upcoming mandate for Euro4 emmissions homologation, as the current MV Agusta F4 superbike does not meet. 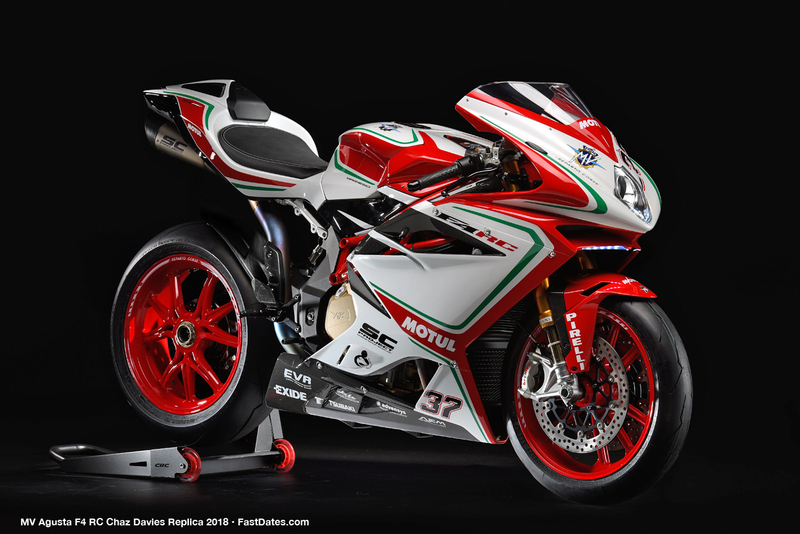 Operating on an emissions waiver right now, MV Agusta will have to stop selling the F4 at the end of the year, which creates a difficult situation. This Euro4 compliance issue, together with the decline in superbike sales, coupled with the delays made by MV Agusta’s financial troubles, means any redesigned next generation F4 superbike gets shuffled to the back of the pack, which also means that its model revision will not come before its emissions waiver lapses. 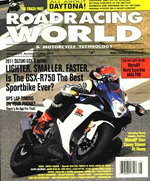 “Sport bikes are a very niche market. We will have it, because it’s our flagship, but the F4 will finish this year . This is the last year for the F4,” MV Agusta CEO Giovanni Castiglioni told us. MV Agusta’s priority right now with its four-cylinder platform is to produce the new Brutale 1000, and then follow it up with a Dragster-esque model, also built off the new four-cylinder engine. Financially limited to one new model per year, this means that the next MV Agusta F4 superbike will come as a 2021 model, likely debuting at the 2020 EICMA show in Milan, Italy. “Strategic-wise, after we phase out the product, it’s going to take time-to-market for like a couple years. 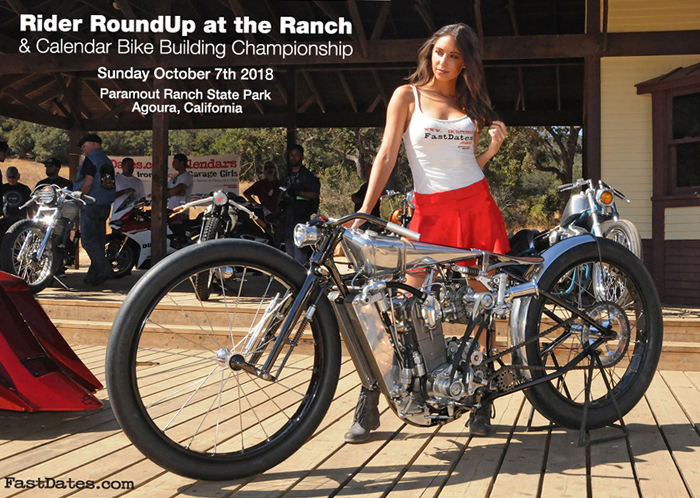 There will be a 2019 and 2020 without a superbike. But, it is our decision…just because we want to make something different,” explained Castiglioni. This also means, MV Agusta will also be leaving the World Superbike Championship, with the current season possibly the last for the foreseeable future. Although the 2019 season remains up in the air for MV Agusta, but the 2020 season is definitely out. “We will race this year in Superbike, and potentially next year, yes. The year after, I don’t know if its so convenient or interesting – or potentially even next year. We’ll see,” explained Castiglioni. MV Agusta will likely continue racing in the World Supersport Championship however, with the MV Agusta F3 675 showing strong results last season with American PJ Jacobsen at the helm (6th overall, with three podiums). But we probably won’t see MV Agusta return to the World Superbike Championship any tome soon, though that takes some explaining to understand. 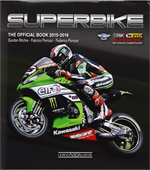 However, it is not all bad news for superbike fans. Castiglioni revealed his plan for the future F4 models, and it is certainly an interesting proposition. He said MV is looking to build superbikes that are not constrained by arbitrary rules for production racing, MV Agusta will pivot its superbike offering into a more halo bike category, with the next-generation of the F4 being more of a one-liter hyperbike than a one-liter superbike. Similar in concept to the Kawasaki supercharged Ninja H2/H2R superbikes, and Ducati with its larger displacemet 1299 V2 and 1099 V4 Panigale. This means that MV Agusta can play with new technologies and materials that would have been unviable or illegal under current superbike regulations. “It’s not that we don’t believe in that market (premier category suprbikes). We believe we can do something different,” he explained. Castiglioni is reluctant to get behind an electric sport bike model right now, but he does see sees a future for hybrid powerplants, which could use electric motors in supplementary way to augment power delivery. This could mean seeing MV Agusta using electric drivetrain technology in performance hybrid application, like the “push-to-pass” or KERS technology that we have seen used successfully in Formula One. 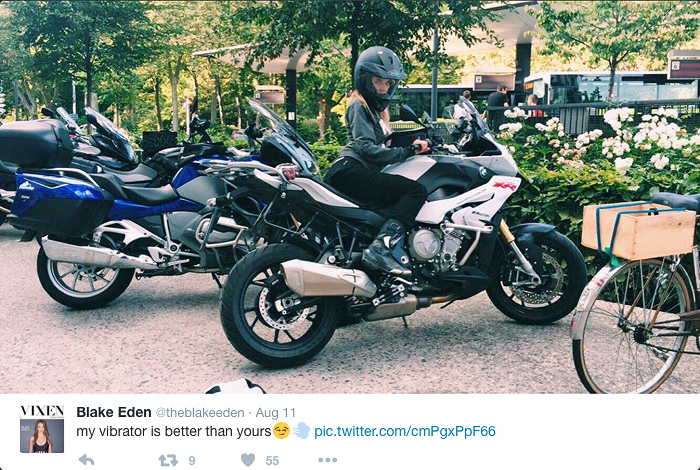 “Hybrid, that is combustion and goes 350hp with a push of a button…that’s cool, like KERS,” exclaimed Giovanni. The idea of a “superbike” that could have 300hp at the push of a button is certainly intriguing, and perhaps it is the shot in the arm that has been missing from the sport bike category, as of late. With the newest technologies, and the most exotic materials, the next-generation MV Agusta F4 will certainly not be cheap, but it has an opportunity to be one of the more lusted after models from this historic Italian brand. As we have seen from bikes like the Ducati 1299 Superleggera and Kawasaki Ninja H2/H2R – there certainly is a market for these ultra-premium, ultra high-tech machines. If this new F4 superbike is the sequel to MV Agusta’s fabled superbike narrative, then the current story needs a final chapter. 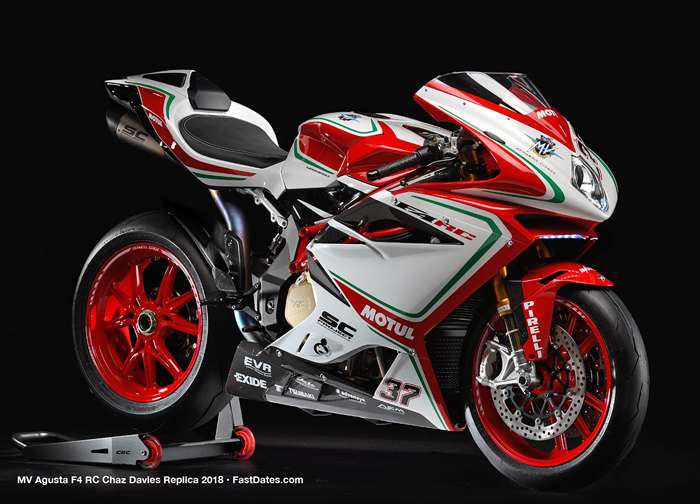 For that, there will be a “Claudio” edition of the current MV Agusta F4 superbike, which will be the most premium version of the F4 superbike yet. “We will sell the curent F4 with a ‘last bike’ edition – it’s very, very limited. 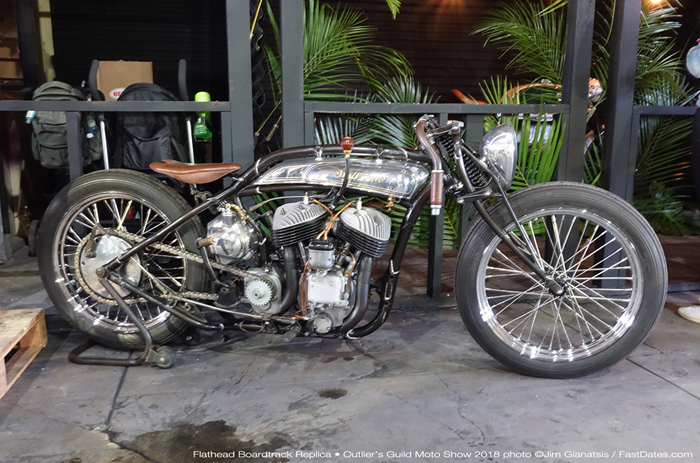 It’s basically Leon Camier’s bike for the street, and it’s a tribute to my dad, because that’s the bike he did,” explained Giovanni Castiglioni, giving a nod to the history of the original F4, which ended with a “Claudio Castiglioni” edition. A WorldSBK-spec race bike with lights, Giovanni Castiglioni says that the F4 “Claudio” will have carbon fiber wheels, and a bevy of other top-of-the-line pieces, as an honor to his father, the late Claudio Castiglioni. So expect Ducati Superleggera pricingaround $80,000 and quantities to be minuscule, just like the original MV Agusta F4 CC, which also bore the elder Castiglioni’s name. The upcomoing "Claudio F4" Limited Editon will be swan song for the current F4, and we will have a considerable wait for its successor. April 1st 2018 - Japanese electric motorcycle manufacturer and Honda partner Mugen has unveiled the electric superbike that will mark the firm's seventh year in the TT Zero class at the Isle of Man. 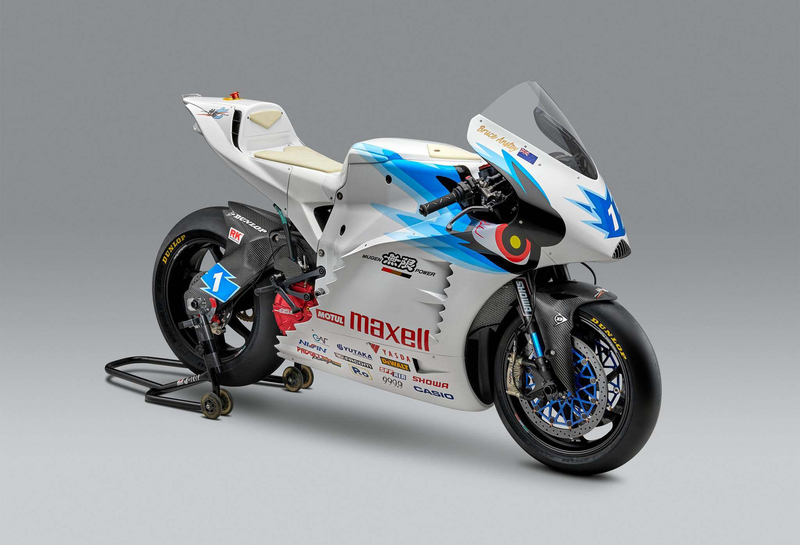 The Shinden Nana, as it's called, will spearhead Mugen's campaign in the 2018 TT Zero event, which has been dominated by Mugen since 2014. 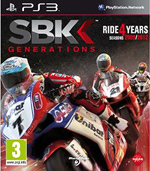 It's the seventh generation of the Shinden line of superbikes, with the original Shinden in 2012, then the Shinden Ni, Shinden San, Shinden Yon, Shinden Go and Shinden Roku. The electric class of the Tourist Trophy was first introduced as TTXGP in 2009, and was won by Team AGNI's Rod Barber. In 2010, the name of the event was changed to TT Zero, and Mugen started participating from 2012, acting as Honda's partner in the electric class, and employing a traditional Honda rider and multiple TT winner John McGuinness. 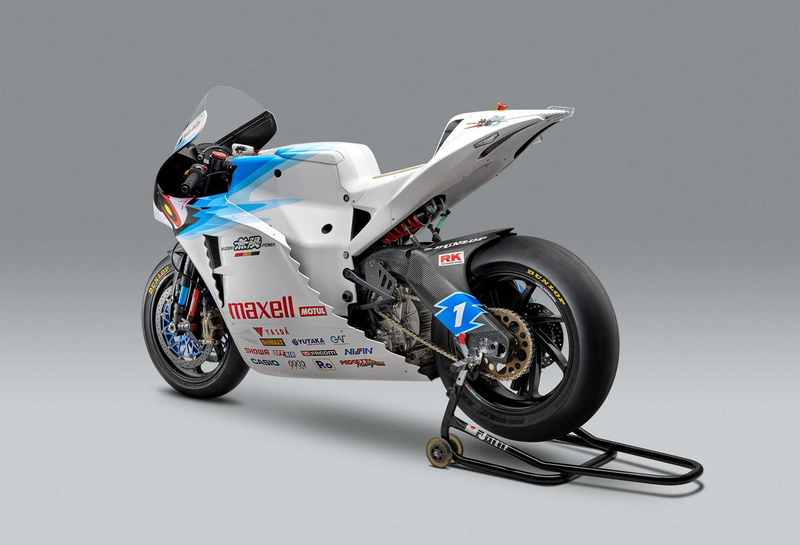 The Mugen Shinden Nana is not a lot different from last year's Shinden Roku. The specs of the bike are near identical to the 2017 Shinden Roku and both bikes share the same dimensions, including the claimed 248 kg weight, same 160 bhp peak power and 210 Nm of peak torque. Like last year's model, the frame is a carbon fibre monocoque and the motor is an oil-cooled, three-phase, brushless design which gets its power from a battery of more than 370 volts. The only visible change in the Shinden Nan is aerodynamics, although the overall shape is similar to the Shinden Roku's. 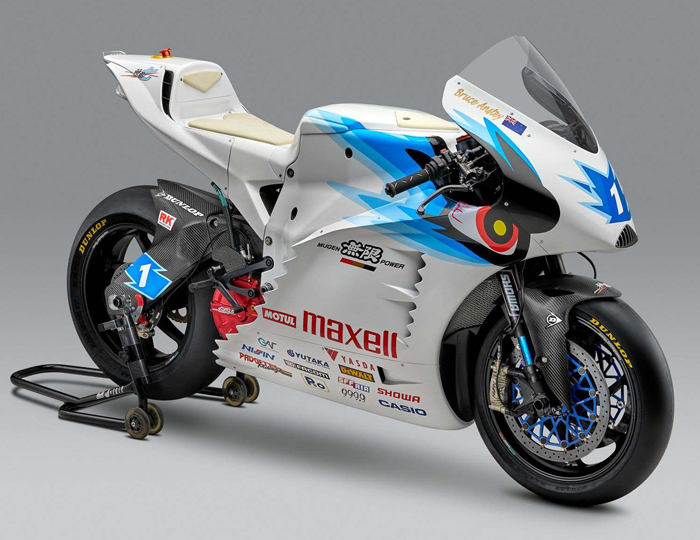 This year, Mugen will field three Shinden Nana bikes at the TT Zero races. 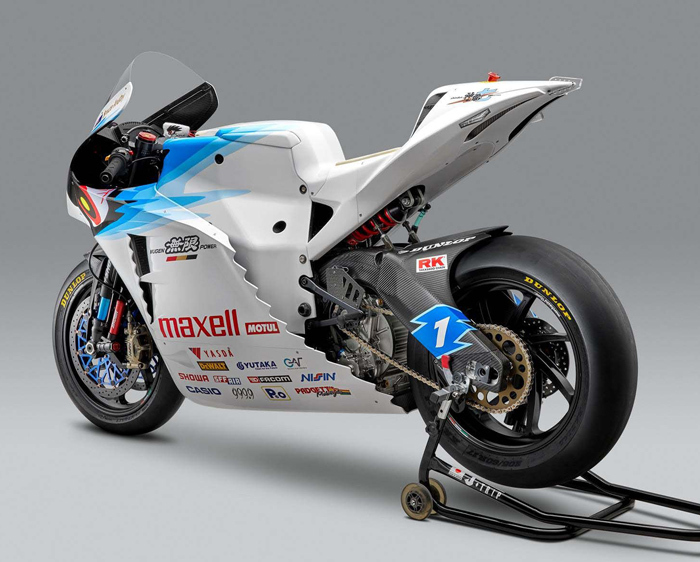 Regulars John McGuinness and Bruce Anstey will pilot the Shinden Nana, as well as Lee Johnston. The TT Zero is a one lap electric motorcycle race at the Isle of Man, and has been more or less dominated by Mugen, and all three Mugen riders are more or less expected to finish at the podium. The only wait is to find out which of the three riders takes top spot, and what order the other two will take at the podium. May 13th 2018= Turkish racing legend Kenan Sofuoglu (Kawasaki Puccetti Racing) has taken to the grid for his last ever race this weekend at Autodromo Internazionale Enzo d Dino Ferrari di Imola, as the five time FIM Supersport World Champion looks ahead to a new chapter of his career in rider coaching and mentoring. Sitting out of three of the four opening rounds of the 2018 championship, and narrowly missing out on retaining the WorldSSP title in 2017, the 33 year old has made the decision not to continue this season and beyond. With injuries sustained in Magny-Cours last year still causing him pain and discomfort, the most successful WorldSSP rider has decided to hang up his leathers and focus on his long term health. Sofuoglu first burst onto the WorldSBK scene in 2003, making his debut in WorldSSP, but underwent three difficult races. 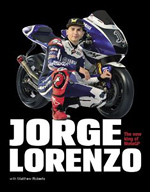 Firmly planting his name in the series in 2004, the Turkish rider made an impact in the European Superstock 1000 Championship and finished in third overall, taking five podiums along the way with Yamaha. 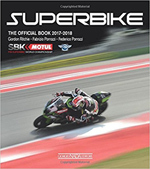 Taking on the competitive series once again in 2005 Sofuoglu narrowly missed out on the title by six points, after a season long battle with Didier van Keymeulen, which saw him secure six podium finishes. 2006 welcomed a move up into the WorldSSP class for Kenan with Ten Kate Honda, and the young talent found his feet very quickly in the 600cc category. 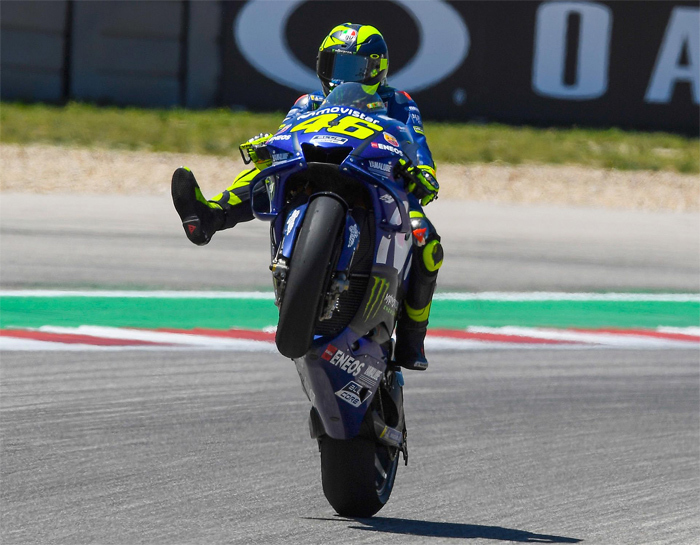 Grasping two victories in his first full season – his first at TT Circuit Assen - the truly began in 2007 as he took 12 podiums from 13 races, clinching the title at Brands Hatch with three rounds remaining. Ending the season 143 points ahead of his closest rival Broc Parkes, Sofuoglu was already breaking records as he claimed the honor of the most wins secured over a season. Sofuoglu took a step back to the more familiar territory of WorldSSP for 2009, and his dominance truly blossomed. Finding his feet in 2009 and facing new rivals, the number 54 rider ended the season in the top three, an appropriate 54 points off the champion Cal Crutchlow. Taking the confidence of his six podiums and three victories into a new decade, 2010 welcomed Sofuoglu back to the top of the standings. Finishing on the podium at every race of the season, the Honda rider faced a season-long battle with Eugene Laverty and Joan Lascorz before clinching the title by 11 points in France. Becoming an unstoppable force in WorldSSP, 2011 saw him make the step over to the MotoGP™ class, where he tried his hand at the 600cc Moto2™ series. Bringing home one second position around a wet TT Circuit Assen on his Suter, Sofuoglu made the move back into WorldSSP to continue to break records. Nevertheless a season of absence didn’t slow him down, and whilst making the switch to Kawasaki for 2012 he was able to win the title for a third time – with nine podiums and four victories. Beginning an intense rivalry with Fabien Foret, this kicked off in the opening race at Phillip Island which saw Sofuoglu take the victory by 0.078s over the line. 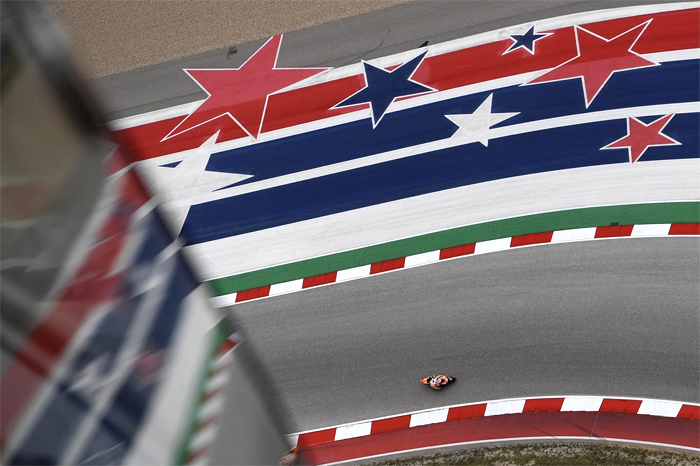 Facing some strong battles out on track, the Turkish rider was runner up in 2013 to Brit Sam Lowes and he missed out on the crown by 49 points overall, despite taking five victories and nine podiums, in what was his 10th year of racing on the world stage. 2014 was a tough season for the three time champion, as he could only muster a top eight finish in the standings with Dutch youngster Michael van der Mark taking the title. Despite a disappointing year, the Kawasaki rider was able to bounce back in true champion style the following season as he joined Kawasaki Puccetti Racing. Going through a difficult period in his home life, the record breaker was crowned 2015 WorldSSP champion by a sensational 74 points ahead of Jules Cluzel. Only missing out on a podium finish on three occasions, it was clear he had not lost his WorldSSP winning style. 2016 saw Sofuoglu secure his fifth and final title, which he sealed in the penultimate round of the season at Circuito de Jerez. Facing a strong battle from his team-mate Randy Krummenacher, the Turkish rider shone through overall. Showing the utter dominance fans became used to with seven poles, nine podiums and six wins throughout the 12 rounds of the season, securing his status as a WorldSSP legend. The 33 year old was able to portray his steely grit and determination right until the end of his career. Sitting out of the opening two rounds of the 2017 season, he returned at MotorLand Aragon but was involved in a crash which saw him unable to score points in the opening three races. However Sofuoglu went on to win the next four races in a row, and only finished off the podium when he was involved in a crash. But the crash which ultimately became pivotal to his career at Magny-Cours was the most spectacular. Breaking his pelvis in three places, he was given a 12 week recovery period, but returned to his bike and to the podium five weeks after the crash. Stamping his status on the field, the legend of Sofuoglu will live on forever. Retiring with 43 wins, 85 podiums and five world titles to his name, Kenan Sofuoglu will go down in WorldSSP history. Putting on one final show for his fans around Imola, he truly was a great showman. Pay your tributes to the five time world champion on social media with #ThankYouKenan.